There are no shortage of reports about social media companies being in hot water. Whether it’s Facebook’s battle with fake news or Twitter leaking 330 million user passwords, it seems that a single day can’t go by without a new scandal. We believe this is a good time to regroup and evaluate the large, centralized social networks. Below we’ve outlined our thoughts on today’s platforms and our vision on how decentralization can improve social networks. First off, whether it’s social media, a news website, or an online forum, users are required to create too many individual accounts. These accounts cause frustration for end users and at worst, privacy and security holes. Most consumers reuse passwords or rely on weak passwords that are easy to remember, which makes accounts easy to break into. Having multiple, disparate accounts also duplicates effort. Not only is your sensitive information being kept by multiple companies, if you want to update your email address — for instance — you have to do this across every service that you frequently use. Further, a large amount of the information we see in a given day online is spam. (Anyone visited the comment sections on YouTube or TechCrunch?) Another study found that approximately 70% of new social media accounts are spam. Consumers have been asked to become experts at detecting what is true and what is false, what is phishing and what is a legitimate email. By contrast, decentralization may be an important shift that solves a number of problems that plague social networks. Let’s go step-by-step through how blockchain technology, that underpins Bitcoin and Ethereum, can improve social networks. Identity management: Currently, services handle identity management and authentication themselves. We now have the opportunity to rethink this infrastructure, thanks to companies like Civic. Leveraging blockchain technology, Civic allows for secure registration and login without relying on usernames and passwords. Users can use fingerprint or other biometrics measures from their smartphone to log into services. By requiring Civic authentication to access certain features, each user account will be tied to biometric information. This makes it much more difficult for bots to spread misinformation, by stopping them from creating accounts. Privacy: Today, we have no control on how our data is being used. 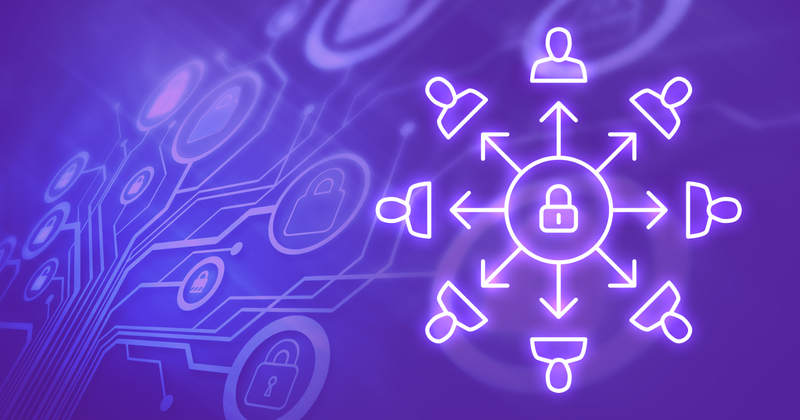 A decentralized approach could allow users to retain their private information and share data as needed with service providers. Blockchain is presenting a new model through tokenization where users retain privacy, but both parties benefit monetarily. The blockchain startup can hold some of the tokens they created in order to capture some of the value as their platform grows, thus diminishing the need to resell user data. There are also opportunities for profit-sharing, where users get a percent of the revenue generated by selling their data. These solutions could prevent a scenario like the Facebook-Cambridge Analytica leak to from happening again. Reward good actors: The most successful social networks build large, vibrant communities. The blockchain enables platforms to go one step further: by issuing tokens to good actors, communities can directly reward members who post good content, provide sources, answer questions, and offer value. Projects can take this even further by aligning tokens with incentive programs, leveling systems, or other gamification elements. These new elements create higher levels of engagement and also help users feel rewarded for contributing, something that current social networks cannot achieve. Identity bad actors: Community-led platforms are more effective at removing spam and harassment. We can use consensus (e.g., 7 out of 10 users are in agreement) to automatically hide or remove content that is harmful. There’s also an opportunity to tie an individual person to an online account (using Civic’s ID mechanism) instead of allowing people or organizations to hide behind aliases. We believe properly crafted rewards and incentives will greatly reduce spam, harassment, and harmful posts online. New business models: Today’s system requires either an ad-supported model or a subscription service. But blockchain technology can enable micropayments, new reputation systems tied to monetization, and other novel business models. As discussed, blockchain startups can create tradable tokens that reward good actors on their platform. These tokens would become more valuable as the social networks grew in scale, engagement, and revenue. This link between platform and token value would incentivize all stakeholders — employees, investors, community members, and more — to work together. Social networks connect anyone in the world with access to the internet. These platforms are only growing in size, and it’s time we address the core problems of centralized social media sites, online forums, and more. Indeed, everything from a news article to a video sharing service has a comments section. We are optimistic about what blockchain technology can bring to the internet — namely, better security, privacy, resiliency, and a structure that better aligns the platform owners with content providers and end consumers. With that in mind, Hilo.io is building a social platform for crypto traders and enthusiasts. The Hilo team has set out to develop a visual platform that makes cryptocurrencies more social and accessible to everyone. We believe in making it easier for new and experienced users to learn and collaborate.